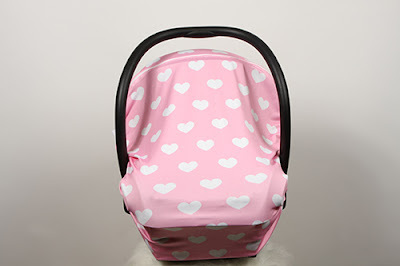 Kleinburg Diaries: Canadian baby products that I love! Canadian baby products that I love! 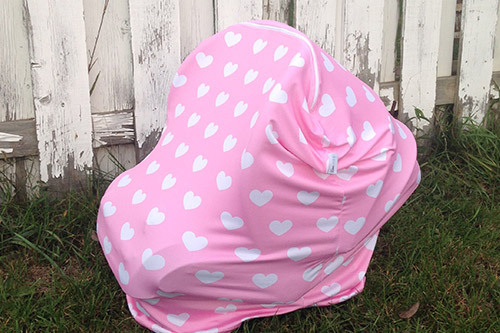 Today I decided to write about some Canadian baby products that I used and I recommend. Please note that this post was not sponsored by any of the brands/products listed below. This is just a mom sharing her findings with you! I came to know and bought all products below at Baby Shows. These are baby products that Isabella used and we recommend. 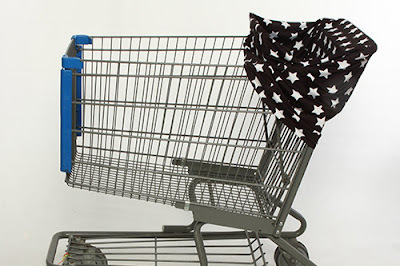 ZippeeMax: this is a baby car seat cover made of a very soft fabric and it can be used as a shopping cart cover, nursing cover and as they mention on their website, the possibilities are endless. We got Isabella the black with white stars - black & white is a classy combination, right? Baby Nimbus: in fact this is a platform that help promote and support local doodlers to showcase their work. 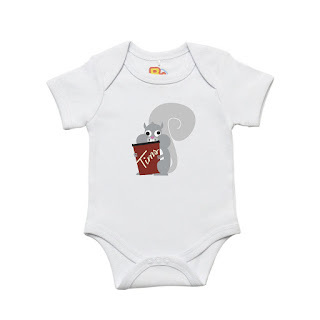 They have a variety of products, but what we like the most are the Canadian themed onesies - they are adorable and you can see the Canadian roots in most of them. Isabella had the 'Fully Caffeinated Squirrel' onesie. It is hilarious! My husband and I love coffee, so we thought it would be fun our baby wearing such a whimsical top. Love Squared Kids: Ron is an enthusiast for hats,... in fact anything you can possibly think on wearing on your head,... caps, touques, bandanas, hats (all styles - believe me!!!!) and when he saw the slouchy beanies from Love Squared Kids he just couldn't stop asking me to get a matching set for the whole family (maybe not the whole family since they don't have dog fashion). Anyways, the fabric is soft, light and the styles are soooooo beautiful. Isabella and I have the mauve (or rose) with white little stars and Ron got his favourite colour/theme: camo. 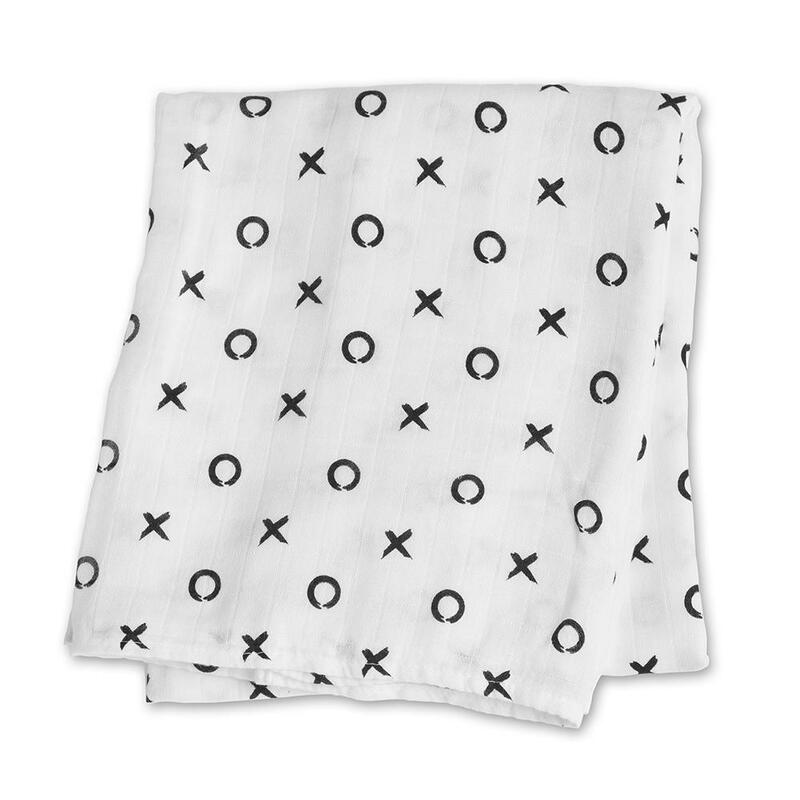 Lulujo: I am a fan of muslin blankets and swaddles,... they are so versatile and can be used for a lot of things: cover the baby (when is not so cold), cover for the car seat, nursing cover, I even use them as towels... We have a ton of them around the house. 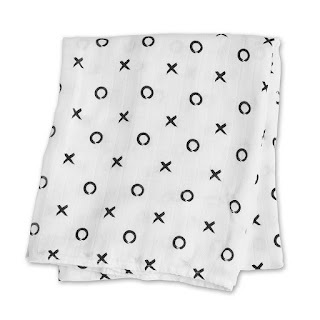 And the muslin blankets we have from Lulujo are great! They are eco-friendly - made of natural bamboo - lightweight and ultra soft. They come in different sizes and designs are soooooo cute. I could not believe how soft the fabric gets every time it is washed. We got Isabella the one with the XO print. Who doesn't like those cute pictures taken every month with baby's milestones???? I certainly do. 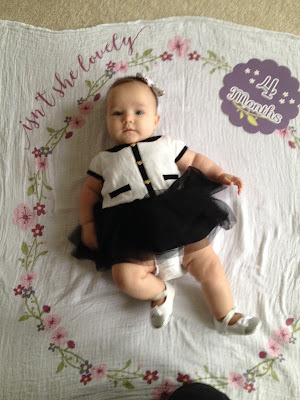 With this in mind we got Isabella a Baby's First Year Milestones Blanket, we chose the one with pink flowers and cards set,... and here is a picture of my little baby when she was 4 months old. I was not a good photographer though,... but it was a great way to create memories and track her growth. At this point in time she was rolling over by herself (and supper excited about it!) and it became a bit tricky to take pictures. 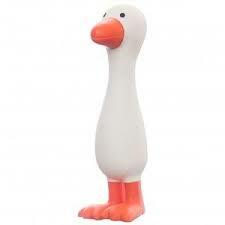 Gertie the Good Goose: this is an adorable teething toy made of natural rubber and it features food-grade paint. It is BPA, phthalate and PVC free,... in other words, chemicals free!!!!!! Gertie is lightweight and the contrasting colours are perfect for catching baby's attention. We bought Gertie at a Baby Show in 2017 and it was love at first sight (Bella & Gertie)! Gertie's shape was designed specifically for small hands, and I can tell that she was able to hold the toy by herself since the beginning. Isabella chews her beak and feet with no mercy, and it helps to alleviate the pain in her gums when she is teething. We also had the chance to meet Gertie's creator at the same Baby show, she was lovely and took the time to talk to us and explain about what makes Gertie unique. Gertie became part of the family instantly,... she made it in time to be part of the 4 month-old celebration! Look at Isabella and Gertie together! She was 5 months old! Any other suggestion on Canadian products this mommy should know about? Please leave a comment here!